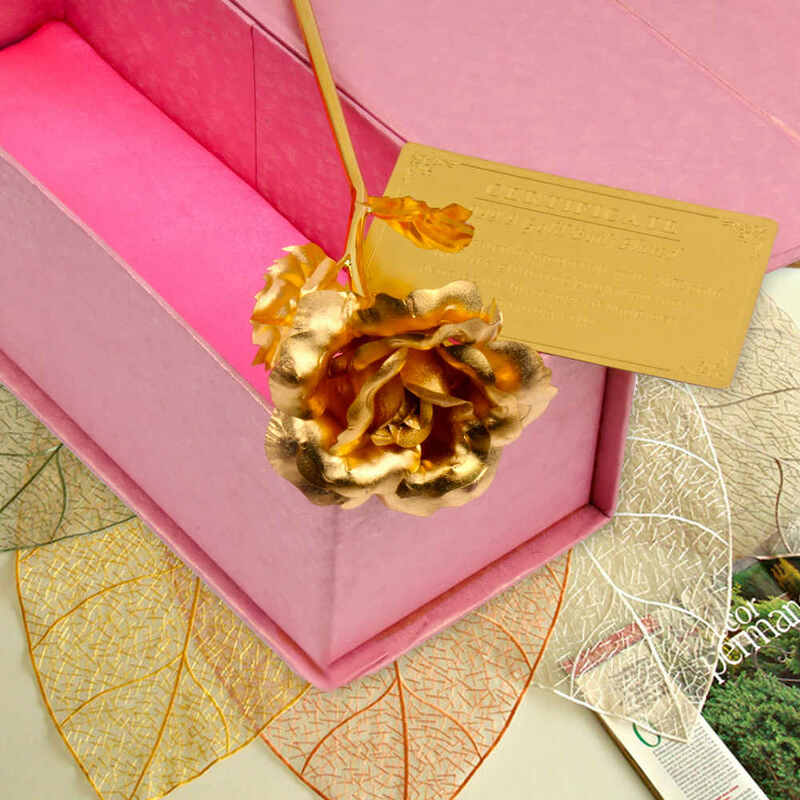 Product Consists : 6 Inches Gold Plated Single Rose with Gift Box. Roses have always been a symbol of beauty, love and appreciation. 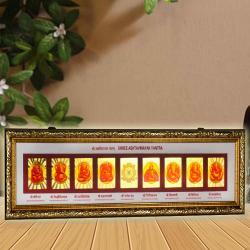 Best Gift for Valentines Day, Mothers Day, Christmas, Birthday, Wedding and many more. We are offering this roses in a fabulous Gift Box Packing. it is also accompanied with Authentication Certificate. 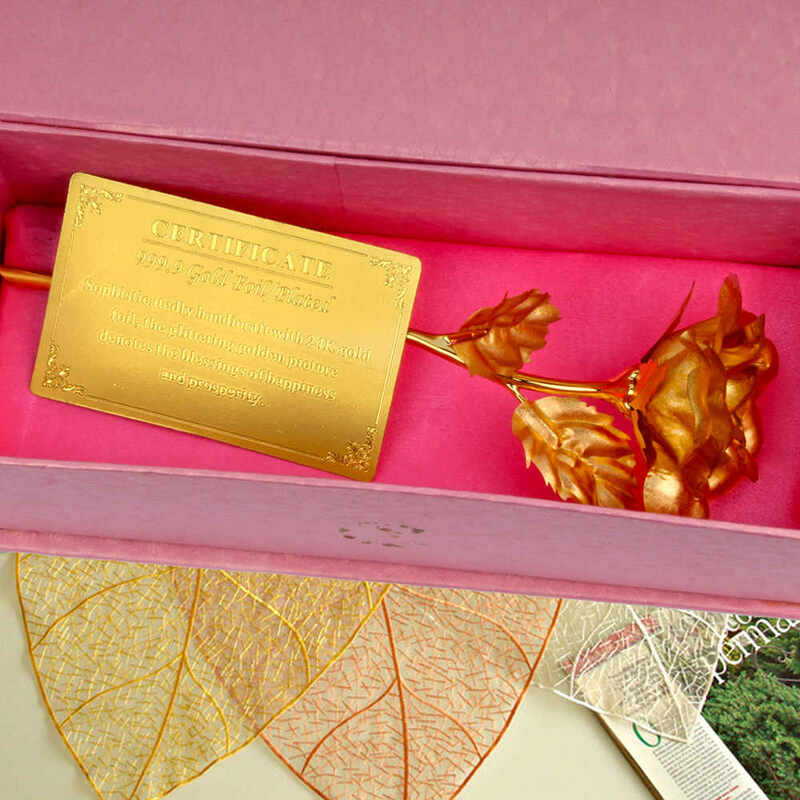 The gold-plated rose is a symbol of love & beauty and an exceptional gift for any loved ones. Each rose is one-of-a-kind, unique and everlasting, just like your love! 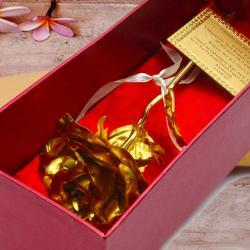 This Product is very delicate and in a excellent packaging, rose petals are dept cuts like real rose, Special way to convey your message with this Golden Roses. The golden color is the color of growth, success and luxury which will bring luck for your friend or for your special ones. 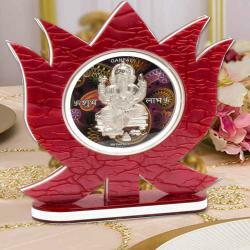 It will definately work as a good luck charm which will bring positivity in his life. A Royal gift at an affordable price. 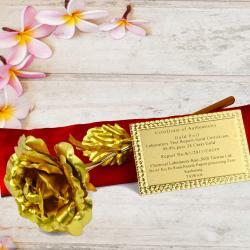 Product Includes : 6 Inches Gold Plated Single Rose and Certificate along with Gift Box.